Weirton Steel, fka National Steel aka ISGI is a nationally known steel company that dominated parts of West Virginia – thriving throughout the 20th century and still exists as a major supplier today. Not only did the mill provide a steady income for many families in the area, it also helped the entire community as a whole because it was the largest employer in West Virginia, the largest taxpayer and the world’s largest tin plate producer. Much the success of the mill can be traced back to the mill’s founder, Ernest T. Weir. Ernest T. Weir was born in Pittsburgh, Pennsylvania in 1875. His father owned and operated a livery stable in Schenley Park – a job that was hard work and paid very little. To help support the family, Weir began working as an office boy at the Braddock Wire Company, eventually becoming an assistant to the Pittsburgh District Manager of the Monongahela Tin Plate Mills of the American Tin Plate Company. By 1905, he was general manager of the Monessen Mills and became good friends with co-workers James R. Phillips and John C. Williams. Together, the three decided to break from climbing the corporate ladder, go out on their own and establish their own business which later became Weirton Steel. Ernest Weir bought a steel company in Clarksburg, West Virginia and was looking to expand once the plant began doing well. By 1909, Weir found his industrial spot of 105 acres 39 miles south of Pittsburgh, near the tip of West Virginia that separates Ohio and Pennsylvania, which had access to water transportation and coal mines. He purchased this land with business partners Phillips and Williams and by the end of the year had 10 mills operating. As the steel mills flourished, more were built in the surrounding areas of West Virginia and Ohio. In 1918, the entire enterprise was named Weirton Steel. Weirton Steel was more than just a place of employment. Most of the residents in Weirton, West Virginia, worked at Weirton Steel, so the sense of community was very prevalent. The town was centralized around the plant and the Weirton Improvement Company provided municipal services to the town, such as garbage pick-up and sewer service and maintenance. Weirton Steel continued to expand and Ernest T. Weir, who was already purchasing ore from Hanna Iron Ore Company, began looking to expand in the Great Lakes Region. The Great Lakes region was also home to Great Lakes Steel – a manufacturer that was tied to the automobile industry that was currently sweeping Detroit. Two weeks after the stock market crashed in 1929, Weirton Steel merged with Great Lakes Steel and Hanna Iron Ore Company and formed National Steel. Weirton Steel became a subsidiary to National Steel and as a result, National Steel became one of the largest steelmakers in the country. Many of the town’s residents were employed at Weirton Steel, which created a sense of community between the enterprise and the town members. The town was centralized around the plant. Weirton Improvement Company provided municipal services to the town such as garbage pick-up and sewer service/maintenance. Employees made more than the national average and Weirton Steel was one of the first steel plants to implement an 8-hour work day. Despite Weir’s efforts to maintain positive employee relations, the employees at Weirton Steel wanted to unionize – something that Weir was against – and by 1930 the workers went on strike. In 1933, Franklin D. Roosevelt passed the National Industrial Recovery Act (NIRA) as part of the New Deal, which gave workers the right to join labor organizations. Weir actively resisted the NIRA and was able to keep unions from organizing throughout his mills. The steel industry began to fall on hard times by the late 1950s and steel production across the United States began to decline. Much of the decline was attributed to post-World War II reconstruction in Japan and Europe and the United States began to import steel from abroad, causing production at home to drop. Throughout the 1970s and the 1980s, the United States experienced inflation, which was then followed by a recession. This had a major impact on the steel industry and as operating expenses began to rise, net sales decreased, and pretax earnings took a nose dive. National Steel, the parent company of Weirton Steel, began to diversify their assets and planned for a future that did not include Weirton Steel and their thousands of employees. In 1982, National Steel announced that Weirton Steel would close, unless it could be bought out. Workers came together and considered taking matters into their own hands under the Employee Stock Ownership Plan (ESOP); a program that allows workers to have stock ownership in their company, allowing employees full control. Ownership of Weirton Steel was officially transferred to its employees in 1984 making it the largest ESOP at the time in the United States. Once again, while other steel industries were losing money, Weirton Steel remained successful and earned more than $48.3 million within the first year of the employee takeover. However, the company did report that even though they were turning a profit in 1984, it did have to lay off more than 250 workers in that year. Weirton Steel remained profitable throughout the remainder of the 1980s, but in the 1990s, with increased competition and jobs relocating overseas, Weirton Steel was once again on the decline. In 2003, even though Weirton Steel was the fifth largest private employer in West Virginia, it filed for bankruptcy. It eventually was purchased by the International Steel Group (ISG) then sold the plant to ArcelorMittal, who remains the owner today. How do I know if I worked in an area that had asbestos exposure? There are many different types of workers in a steel mill, all dependent on the department they are in and the job that they do. They types of equipment and their uses can be found on our glossary page. For a complete list of the types of workers associated with Weirton Steel, see our extensive glossary page. Creating a thorough work history is vital to a successful asbestos lawsuit. Knowing all the places you worked, such as Weirton Steel, is crucial to determining all the asbestos products you were exposed to during a lifetime of work. Documentation detailing asbestos exposure can require thousands of documents and dozens of depositions. Weirton Steel is one of tens of thousands of job sites in our database. Without such evidence, the companies that injured you can continue to deny responsibility. We’ve already done the leg work to put Weirton Steel in our knowledgebase, so we won’t be scrambling to educate ourselves like a less experienced firm. Did you work at Weirton Steel in Weirton, West Virginia? 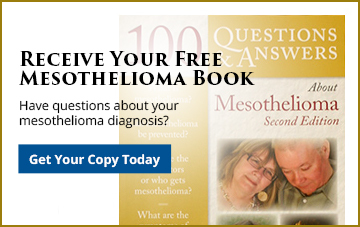 Have you developed mesothelioma, lung cancer, colon cancer, rectal cancer or another asbestos cancer? Contact us today for a FREE, no obligation consultation: 1-800-COMPLEX. Creating a thorough work history is vital to a successful asbestos lawsuit. Knowing all the places you worked, such as Weirton Steel (fka National Steel aka ISGI) , is crucial to determining all the asbestos products you were exposed to during a lifetime of work. Documentation detailing asbestos exposure can require thousands of documents and dozens of depositions. Weirton Steel (fka National Steel aka ISGI) is one of tens of thousands of job sites in our database. “It has been a pleasure working with you. You handled my father’s case very professionally and, considering the emotional aspects, very personally. Over a year ago, prior to the diagnosis, my father handed me a page torn from the Yellow Pages showing the ad for Goldberg, Persky & White. He told me that Goldberg, Persky was the company that I should contact if he gets sick. As usual, he gave me good advice. Counselors, thank you for all you do! Without such evidence, the companies that injured you can continue to deny responsibility. We’ve already done the leg work to put Weirton Steel (fka National Steel aka ISGI) in Weirton, West Virginia in our knowlegebase, so we won’t be scrambling to educate ourselves like a less experienced firm. It’s a breadth of knowledge gained from more than 30 years of experience representing West Virginians injured by asbestos and their families. Did you work at Weirton Steel (fka National Steel aka ISGI) in Weirton, West Virginia? Have you developed mesothelioma, lung cancer, colon cancer, rectal cancer or another asbestos cancer? Contact us today for a FREE, no obligation consultation: 1-800-COMPLEX.